13 live webinars. Four days. 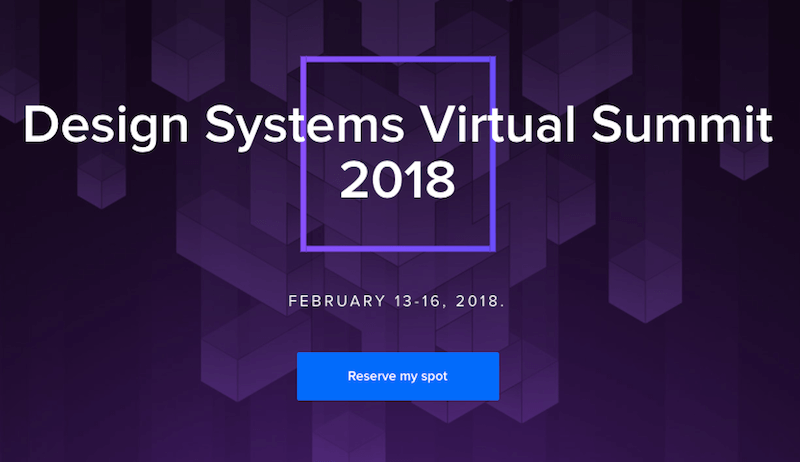 That’s the Design Systems Virtual Summit which our friends at UXPin are hosting from February 13th to 16th. Join free from anywhere, and learn from experienced practitioners how to build and maintain a design system efficiently. (This is a sponsored article.) Everybody's talking about design systems, but they are more than just a trend. They are a best practice for design consistency and efficiency between designers and developers. To help you take advantage of a design system to streamline not only the design of your product but also your team's workflow, our friends at UXPin are organizing the Design Systems Virtual Summit 2018 from February 13th to 16th. The event will take place entirely online and is free to join for everybody — thanks to sponsorship from Atlassian and Salesforce. Four days dedicated to all things design systems — that's the Design Systems Virtual Summit 2018. The four days will be jam-packed with first-hand insights provided by experts from companies like Atlassian, Airbnb, Salesforce, Linkedin, Zendesk, GE Digital, IBM, and more. How do they tackle the challenge of building, using and maintaining a design system? To make learning as practical as possible, each speaker will share lessons learned from real projects and case studies — takeaways that you can apply to your work right away. How design systems help evolve a company's design process and how they affect internal politics. How to govern a design system for years and how to grow it. How to design collaboratively with global teams. Four days. 13 webinars. Attend them all or pick the ones you're most interested in — it's up to you. All times are PST. You can register for the live event directly on the Virtual Summit site. It's free, no strings attached. Enjoy!